Cowboy Ninja Viking has stalled on the runway as Universal pulls the movie's 2019 release date. The studio didn't bother giving the movie a new release date, but word is that the production is still active and will happen eventually. 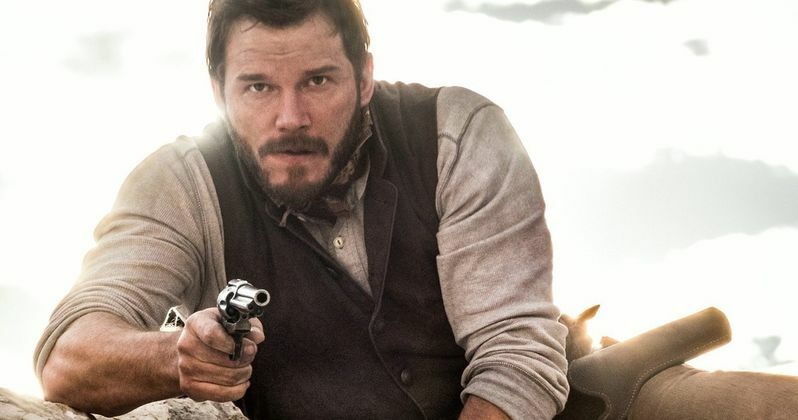 Cowboy Ninja Viking is set to be another big franchise for star Chris Pratt. He already has Jurassic World with Universal, which released Fallen Kingdom this summer to huge box office numbers. And he's part of the Marvel family, leading the Guardians of the Galaxy movies. Cowboy Ninja Viking had been given the prime summer release date of June 28, 2019. This meant shooting would need to start soon. And it sounded like things were coming together nicely as Priyanka Chopra, perhaps best known for her turn in The Rock's Baywatch movie, joined the action comedy last week. Cowboy Ninja Viking is reportedly still in active development. Universal is expected to announce a new release date sometime in the near future. This new release date will serve to accommodate the production schedule that is in place. It's likely that we won't get to see the movie until sometime in 2020. And it may no longer be positioned as a summer tentpole. Chris Pratt stars as a the title character, an assassin who can manifest the best skills of all three personas. The movie will be action heavy, while still aiming for a PG-13 rating. The project is based on the Image Comics graphic novel by by AJ Lieberman and illustrator Riley Rossmo. Acclaimed director Michelle MacLaren, who is known for her stellar work on such classic TV shows as Breaking Bad and Game of Thrones, is helming the project. She was originally set to make her feature film debut with Wonder Woman, but she bumped heads with DC and Warner Bros., and left under the guise of creative differences. She recently directed HBO's The Deuce pilot episode. She is also developing The Nightingale, a WWII thriller that is set up over at Tr-Star. Paul Wernick and Rhett Reese, the two guys behind the Deadpool movie scripts and Zombieland, wrote the screenplay for Cowboy Ninja Viking, with newer drafts turned in by Hangover 2 and Identity Theft writer Craig Mazin. Guymon Casady, Ben Forkner and Mark Gordon are producing this unique take on the comic book genre. Chris Pratt isn't having much luck lately. With Cowboy Ninja Viking stalled for the time being, he is also waiting to hear who the new director of Guardians of the Galaxy 3 will be. James Gunn was fired over a serious of abhorrent tweets, and though Pratt and his cast mates have lobbied Disney to hire their boss back, it doesn't look likely. The next Guardians sequel was all set to shoot in early 2019, but Marvel has yet to make a formal announcement about the movie and how it will move forward since Gunn got the axe. Cowboy Ninja Viking may still get underway before the end of the year, but it's unlikely that we'll the movie anytime next year. In the meantime, we have Avengers 4 to look forward too, which will find Chris Pratt reprising his role as Star-Lord for a forth time. He'll also return to voice Emmet Brickowski in The Lego Movie 2 and he has the western The Kid coming up next year. So we'll get quite a bit of Pratt in 2019 even without Cowboy Ninja Viking. This news comes from Universal Pictures.